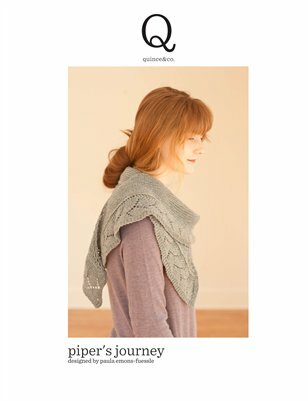 Knitting Pipeline is a Craftsy Affiliate. 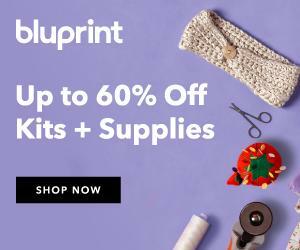 Craftsy offers affordable online classes and supplies. When you use the link in the right sidebar before purchasing I receive a small percentage of your purchase at no extra cost to you. Thank you! I couldn’t think of an appropriate title for this episode. 300 seems to say it all. Thank you to everyone who has listened over the past 7 ½ years. Three hundred episodes astounds me and I could not have done it without your listening, support, feedback, and friendships. I enjoy creating the show and plan to keep going as long as I can keep the content informative. What makes me most proud and happy are the many friendships that have happened online, not just with me but with others, and especially at the Knitting Pipeline Retreats. Thank you again for your support! We have a wonderful knitting community. Thank you to those who have left reviews on iTunes and also star ratings. Difair on 1/9, abjwilhite 1/28, and melanieroberts72 on 1/29. Thank you to everyone who has been in touch with me and a special welcome to our newest Pipeliners who have introduced yourselves to us in the Welcome Thread or to me in a personal message: Leona8306 from Columbus OH, SuzanneB116 from Nashville, mizlizn, buckeyesocks, Ellyarn who is Elly in Chicago, AunteyD who is Donna from MA and esalaza who is Erica in TX. Wisewoman: There’s frogging and there’s hibernating, but there is no cute name for putting a project in the trash when you decide it has thoroughly defeated you. Even threw away the pattern I had paid for on ravelry. Not the first time I have killed off a project and I feel relieved--like you might if you broke your foot or something on the way up Mt. Everest when you really didn’t want to do it, or were doing it for the wrong reasons. I just wish I could come up with a cute name for killing off something. Killing seems too harsh. But then again, I was really mad. Maybe I could call it “too proud to use a lifeline”. Bronwyn wrote: Ouch! That’s rough. Sorry to hear about your struggle. I’m too stubborn to throw out a project altogether. We’ll have to come up with a name for that, though. Maybe we can use a gangster cliche: My project’s not just in the frog pond; it’s sleeping with the fishes. Links to retreats and registration materials are in the Knitting Pipeline Retreats Group on Ravelry. There is also a sticky thread with all upcoming retreat dates. Knitting Pipeline Retreat in Washington Illinois FAQ’s in a separate short episode later this week. Watch your email for the sponsor and yarn crawl booklet. Skagen Shawl by Paula Emons-Fuessle. Official start will be Feb 10 but start anytime. I will divide the KAL into weeks so you can do it like a Mystery KAL without the mystery. I’ll post the Pacer Schedule soon. Some of the Sprinters are already up and running. I’ll be a Pacer. Le Mouton Rouge and Klose Knit both carry Berroco Remix. Asymmetrical triangle. Start with just a few stitches and you increase one st per row. Skagen is a part of Denmark. Skagen is the town. Skagens Odde is the piece of land that points toward Sweden and it divides the two seas that come together there. You can stand with a foot in both seas, Kattegat and Skagerak. Famous for the light in the area because of all the water and sand that reflects the light. Painters of Michael and Anna Ancher, and Holger Drachmann. The headland, Skagens Odde, is northern Europe's best place for observing birds of prey during their spring migration. I left off one of the smaller motifs because I could see the cowl would be the right size without it and I didn’t want it to be too deep. Finished measurements after blocking are 9 1/2” deep and 26” circumference. In the Frog Pond Refract Socks by Rachel Coopey in Making 4. Not "Sleeping with the Fishes". This was more than 2 days of knitting. “Sleeping with the fishes”, thats hilarious! Congratulations on 300 episodes Paula!